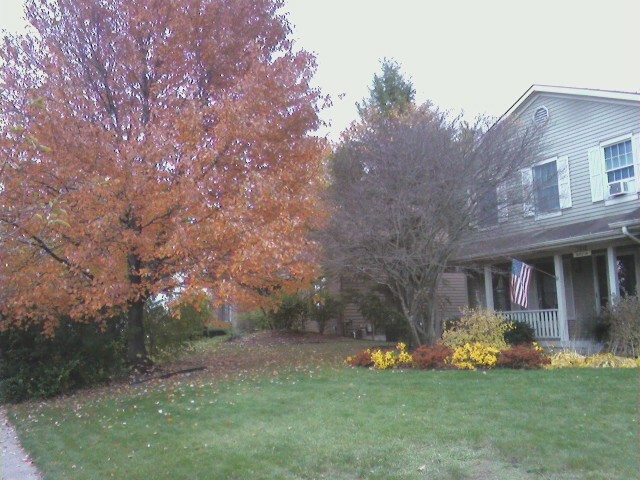 The final leaves of fall have begun their descent to our yard. 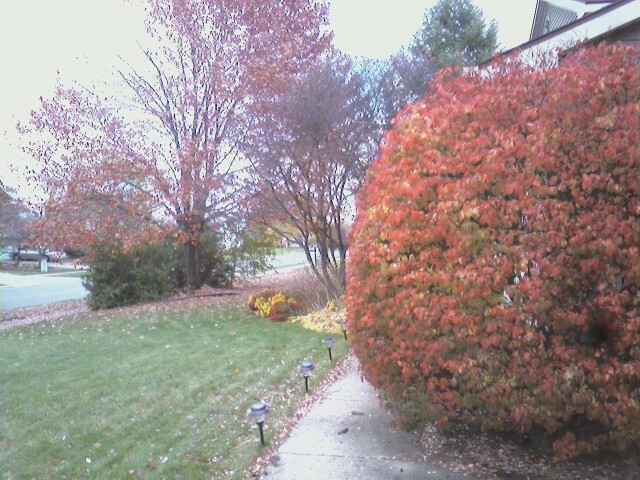 Fire has touched the bush by the garage door, the last to succumb to the transition to winter. Halloween on Monday, Thanksgiving in the near distance. Some brighter sun would be nice, but the photo is a sense of the colors about our house from the mums in front, the lilac bush behind and the trees changing all about.